Location, Location, Location! Why pay rent when you can own this lock and leave 2-Bed/2-Bath condo that is ready for you to move in and live. The home features a living room with an inviting fireplace and balcony for dining al fresco or simply enjoying the sun, and the open floorplan creates a perfect gathering space. The kitchen is designed for people who like to cook and entertain at the same time. Both bedrooms have walk-in closets and the Master features a vaulted ceiling. Oversized 1-car attached garage has storage space for your toys. All appliances remain, including the full size washer and dryer. This quiet unit is located in the middle of the community and is not next to Dry Creek or the strip mall! Community amenities include a clubhouse with fitness facility, pool and hot tub. 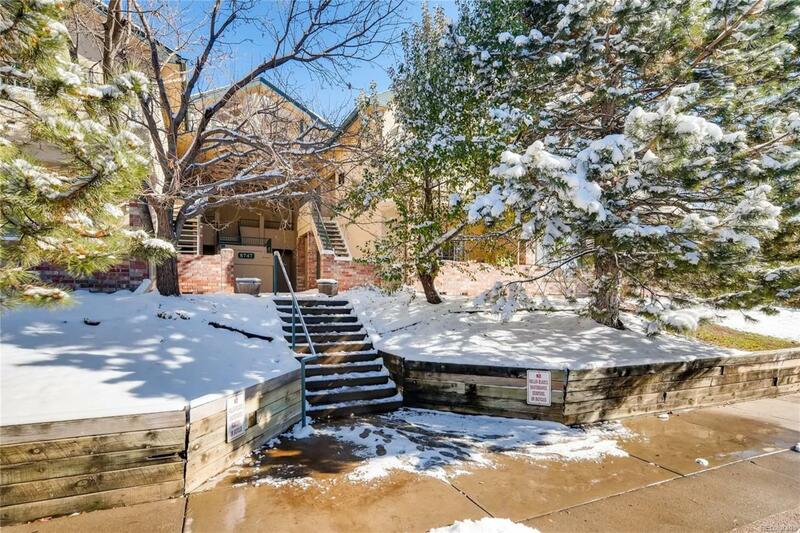 Located in Cherry Creek School District, this home is minutes away from the Dry Creek light rail station, DTC and Park Meadows with its shopping, dining and entertainment venues. Welcome Home!